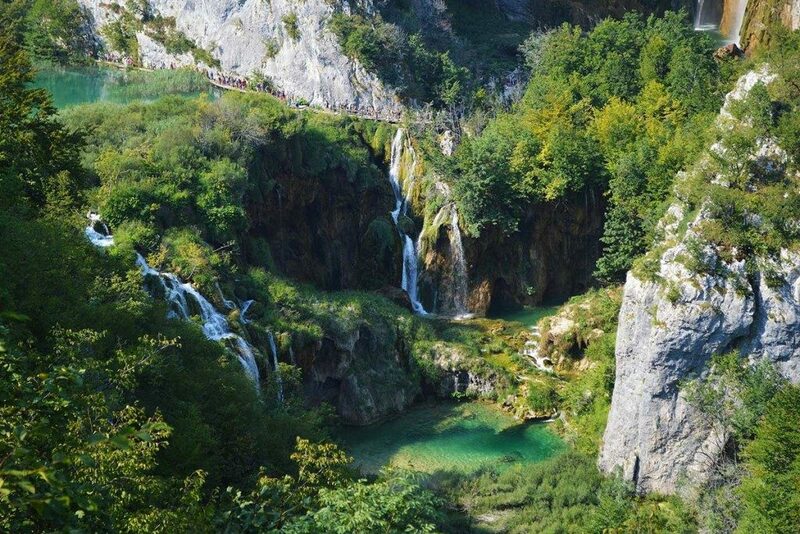 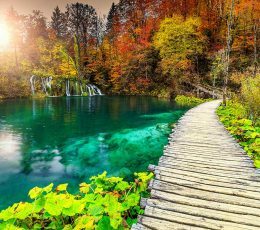 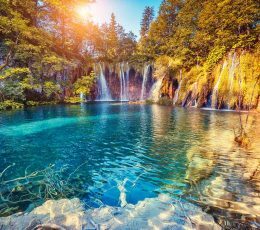 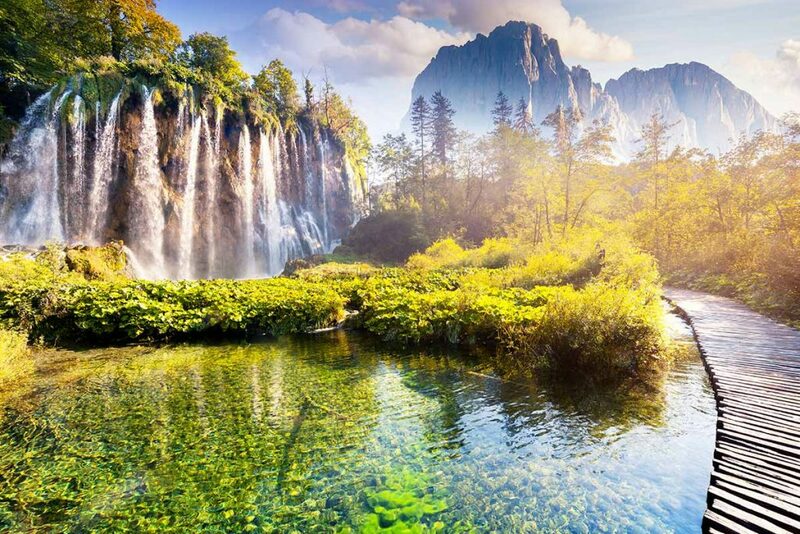 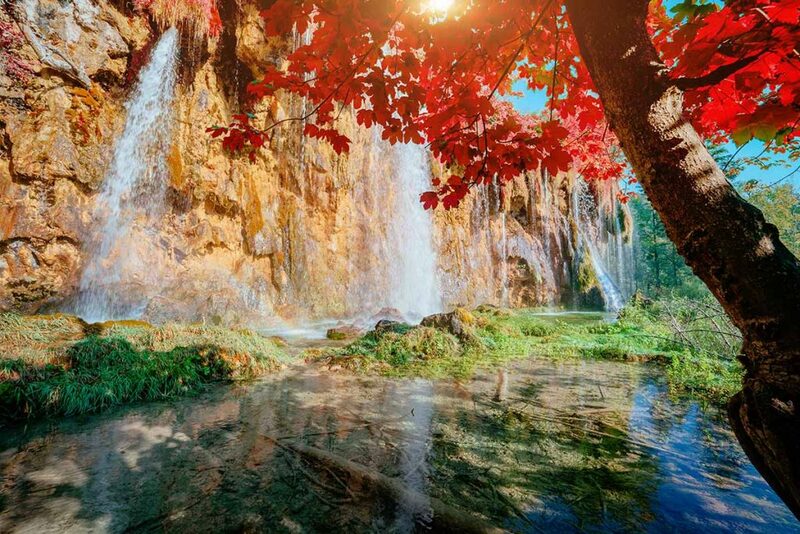 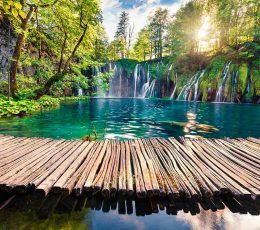 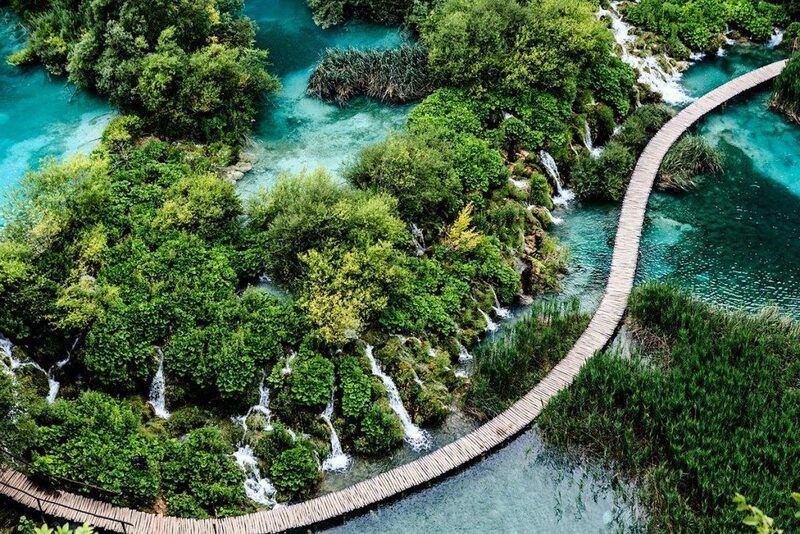 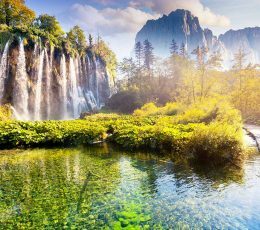 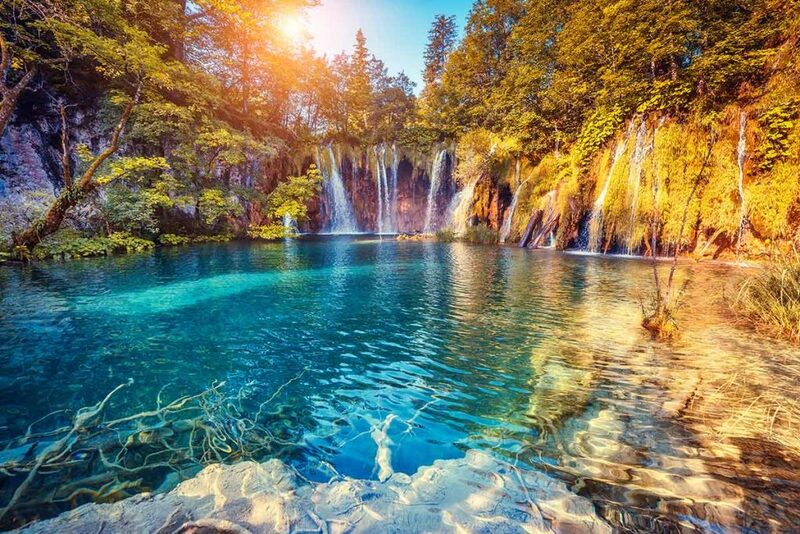 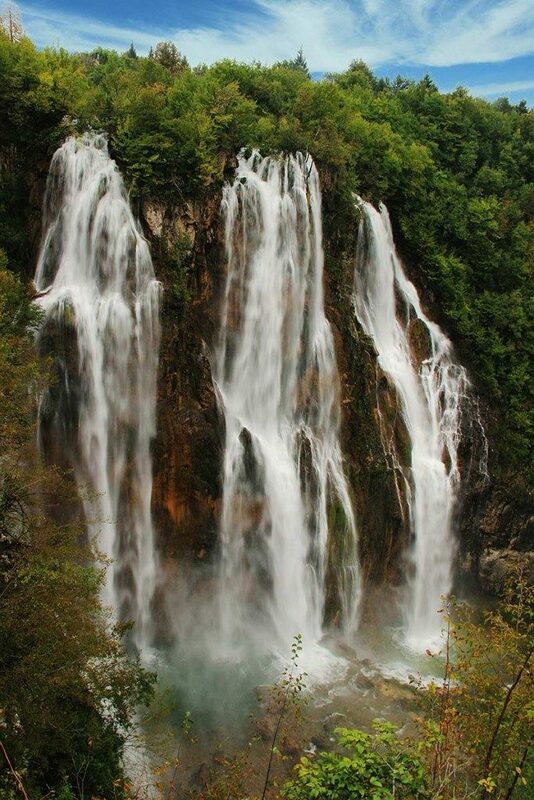 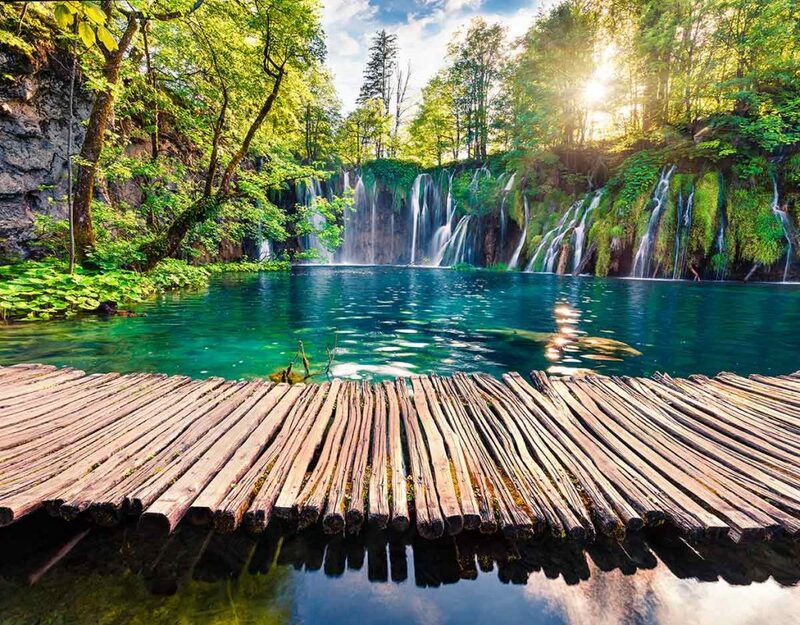 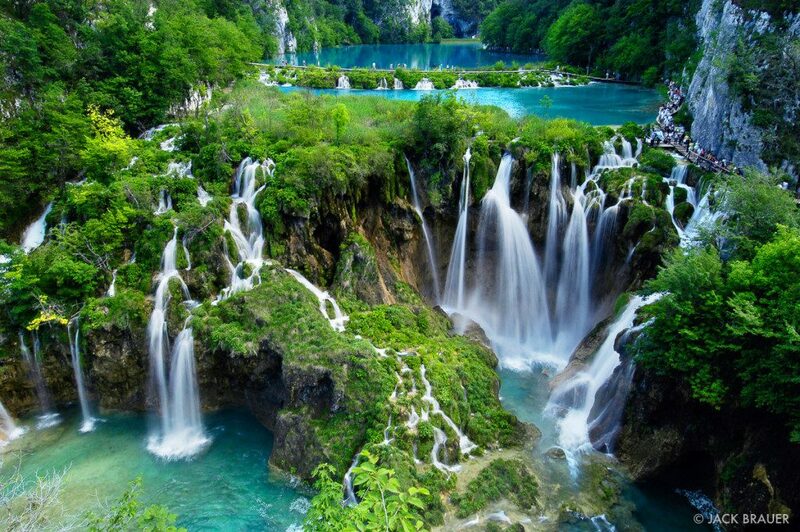 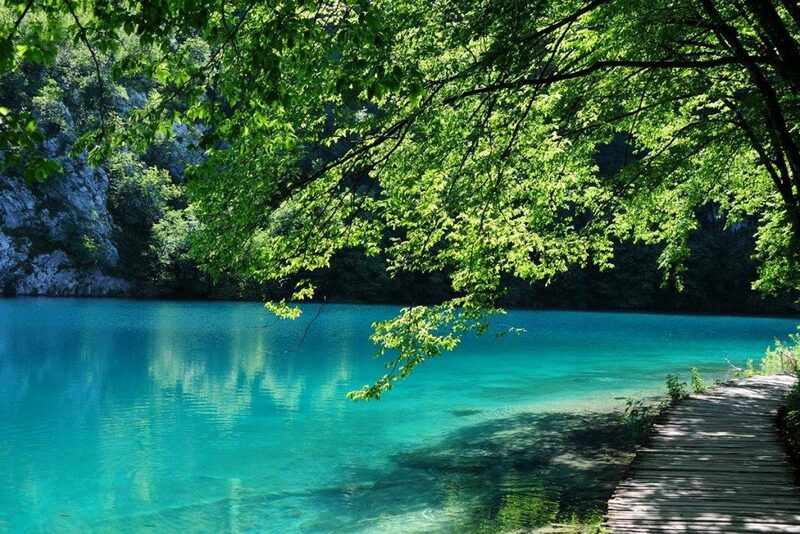 When you come to Croatia, Plitvice Lakes are one of those ‘must see’ places on your bucket list. 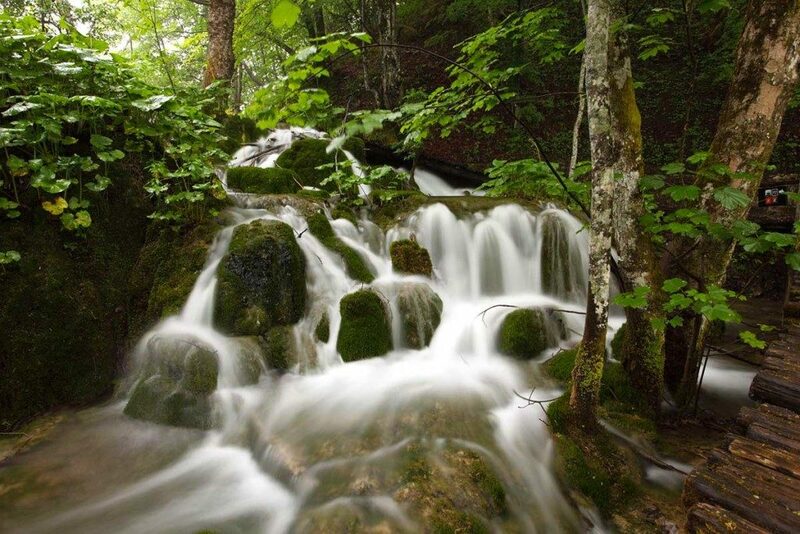 Let us take you to this captivating National park where you will be amazed with beauty and power of nature. 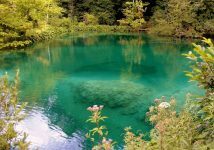 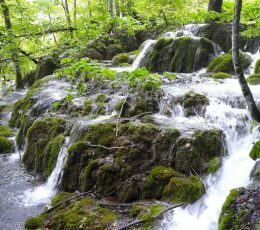 For only 40€ you have an opportunity to visit home of the largest Croatian National park and also one of the most beautiful in whole Europe. 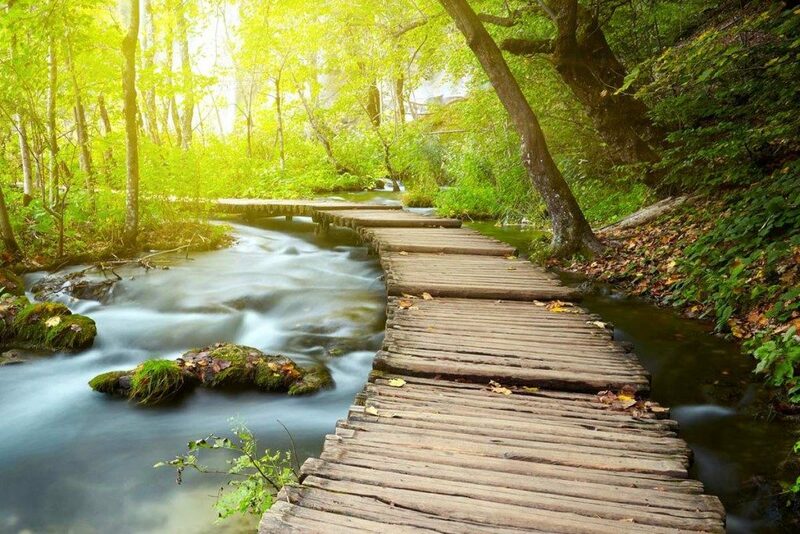 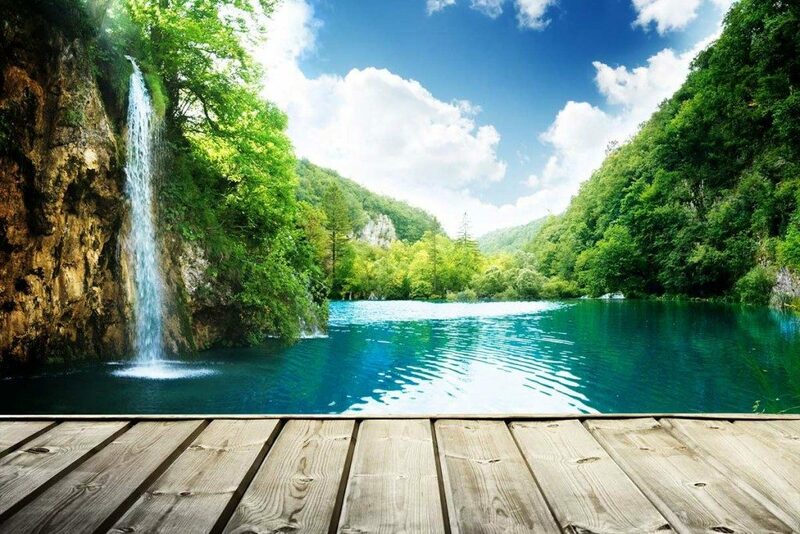 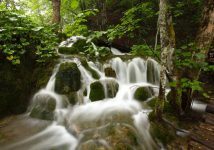 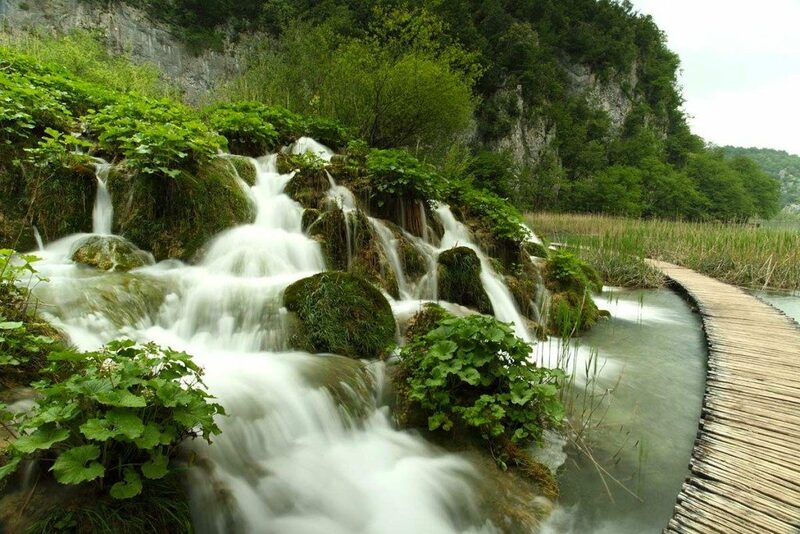 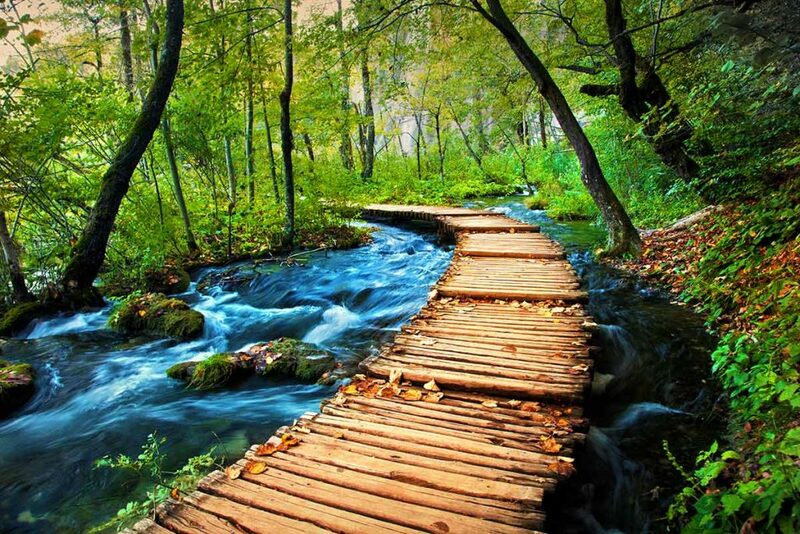 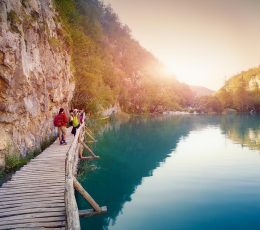 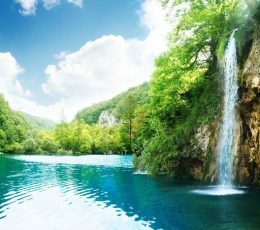 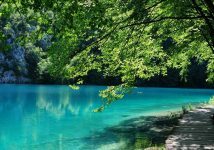 The best value for money you can get is to visit Plitvice Lakes National park with our economy tour. 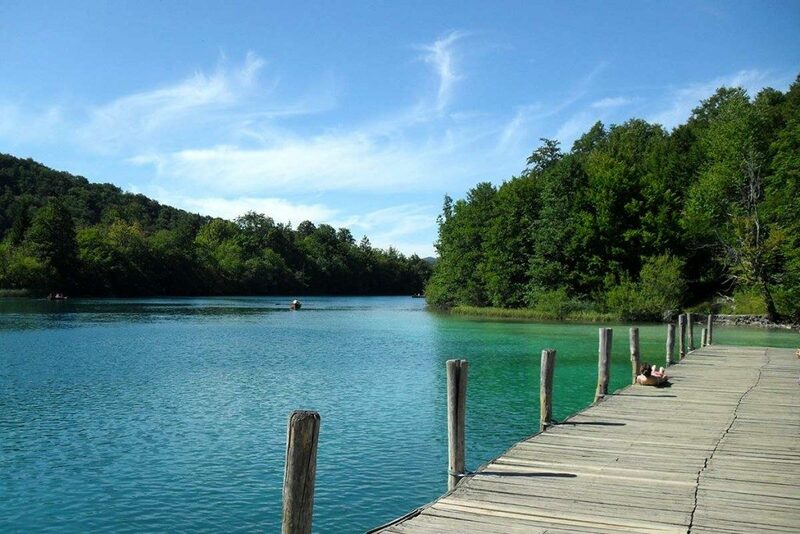 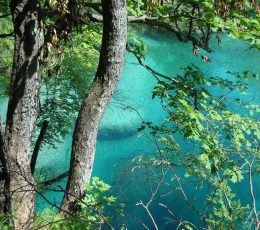 In the air conditioned bus we will take you accross the highway to the Plitvice Lakes National park. 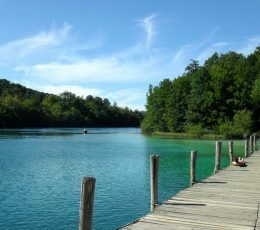 Meeting point for all of our excursions is in front of our office (check Important tab with Meeting point and directions). 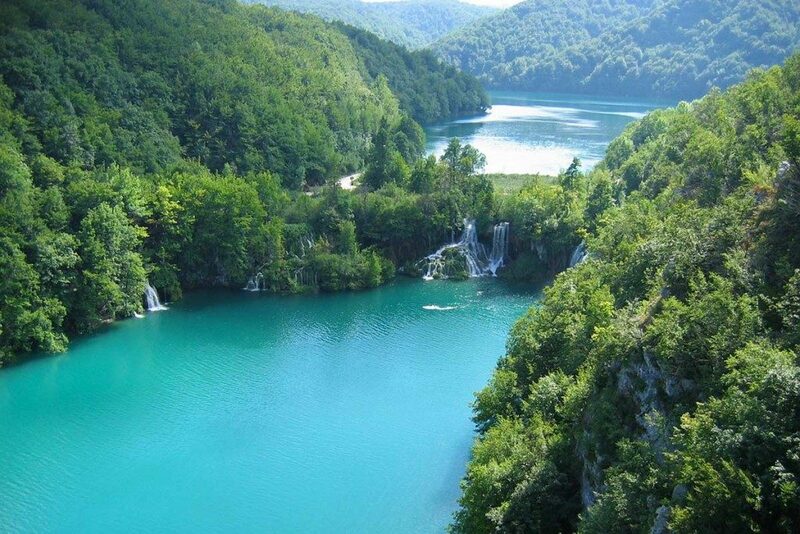 We will get to the Plitvice Lakes National Park across the highway in the air conditioned bus. 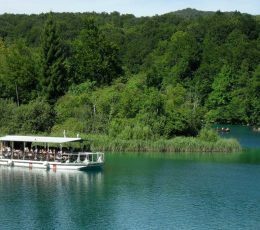 We will meet at our office which is a meeting point for all of our excursions (check our Important tab with Meeting point and directions). 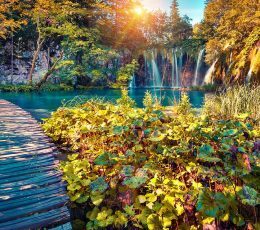 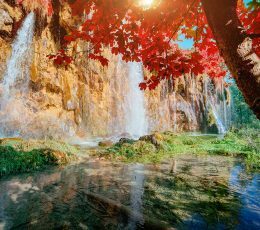 Plitvice National park are constantly changing and they are always beautiful no matter what time of the year you are visiting. 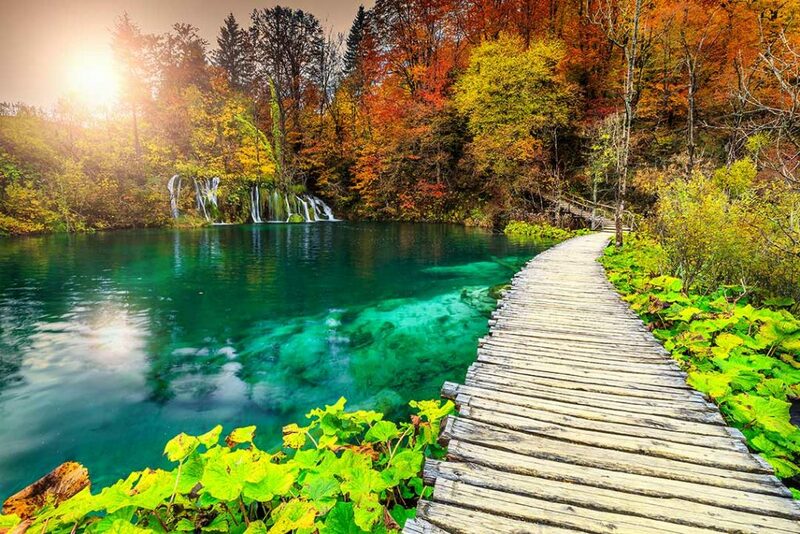 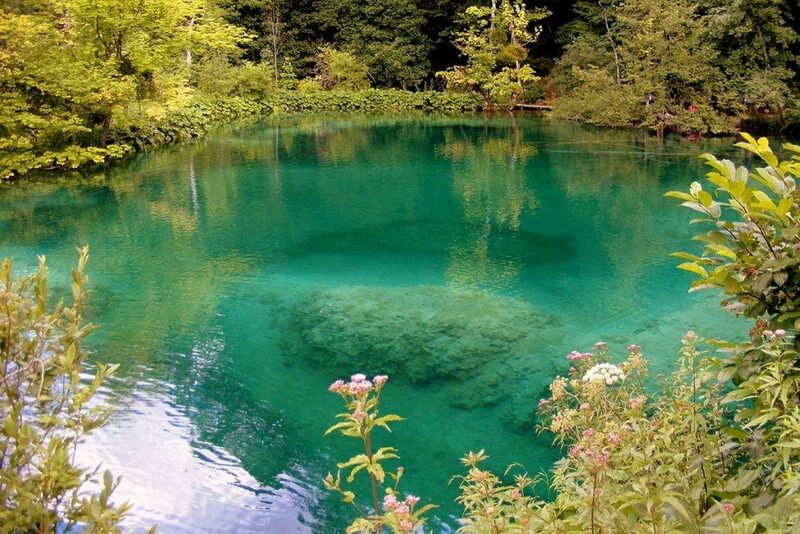 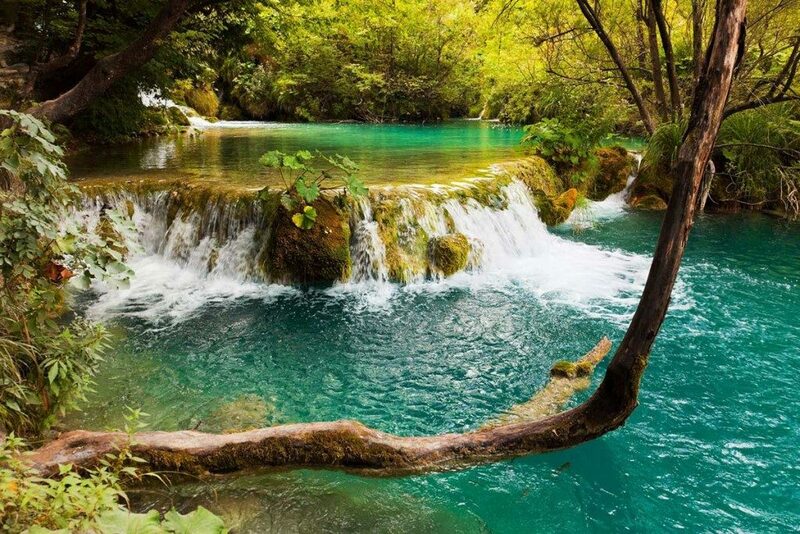 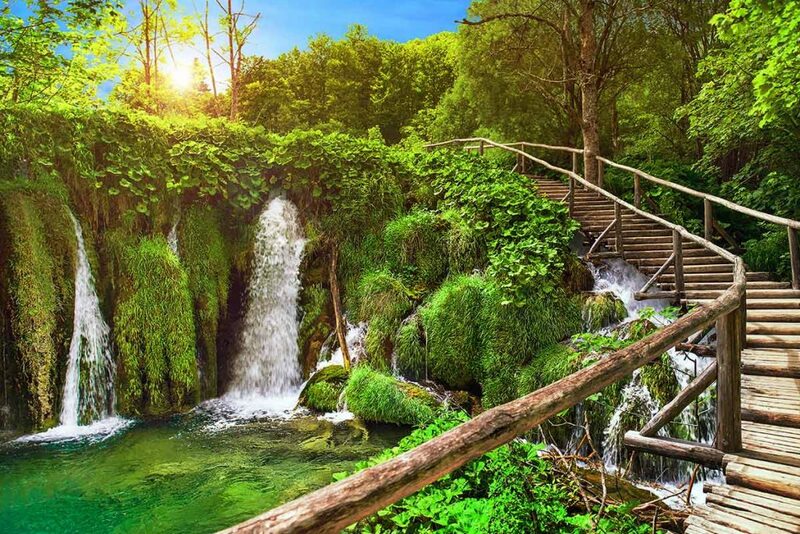 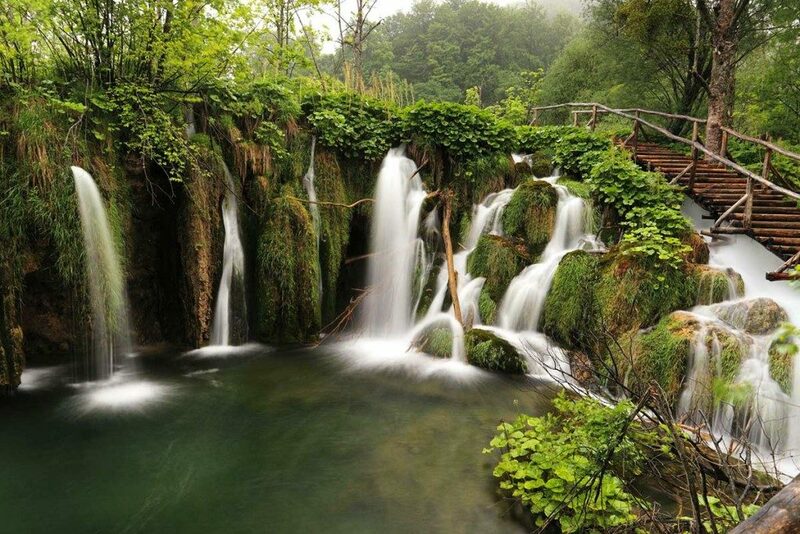 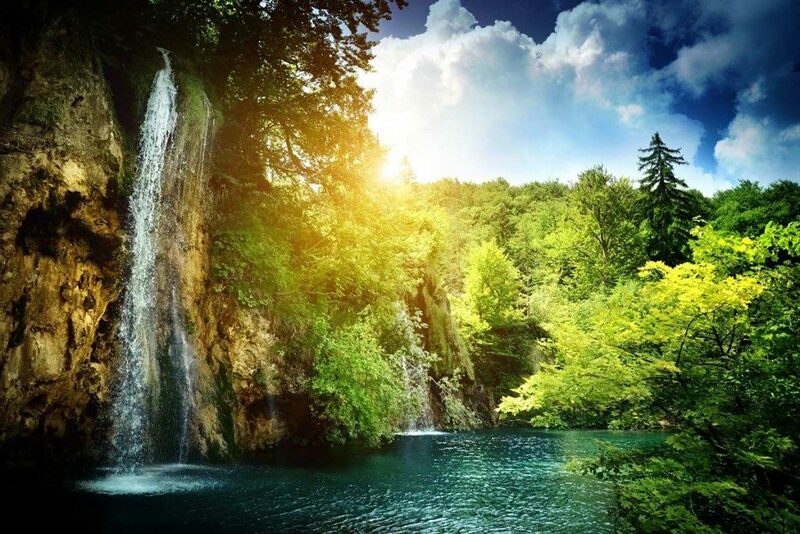 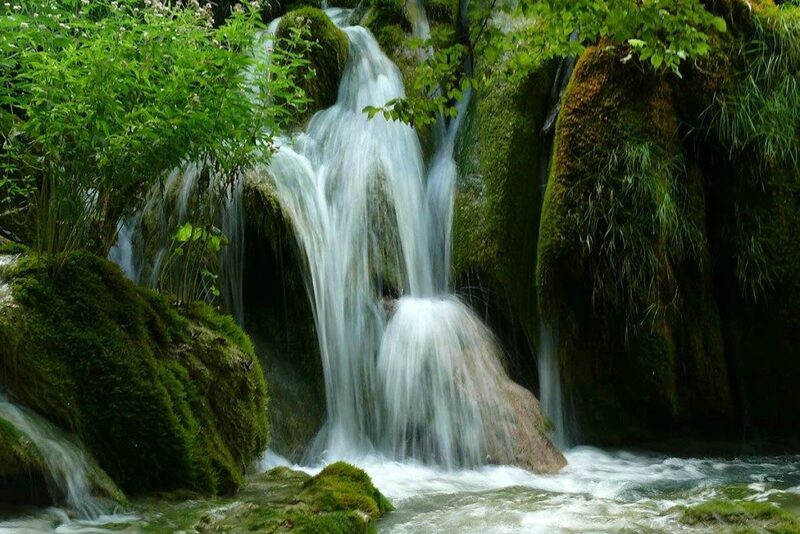 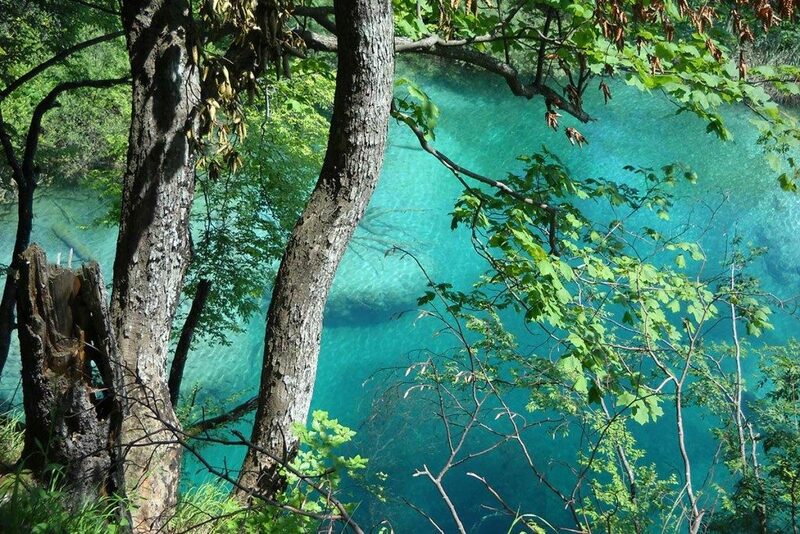 Captivating beauty of this Croatian nature wonder will surely leave you impressed. 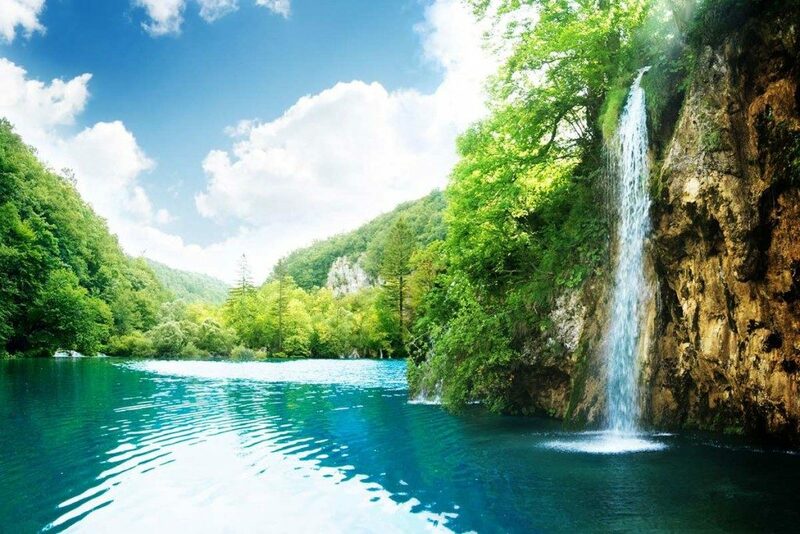 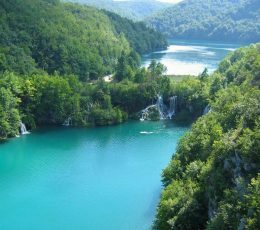 Plitvice lakes consists of two parts- the upper and the lower lakes. 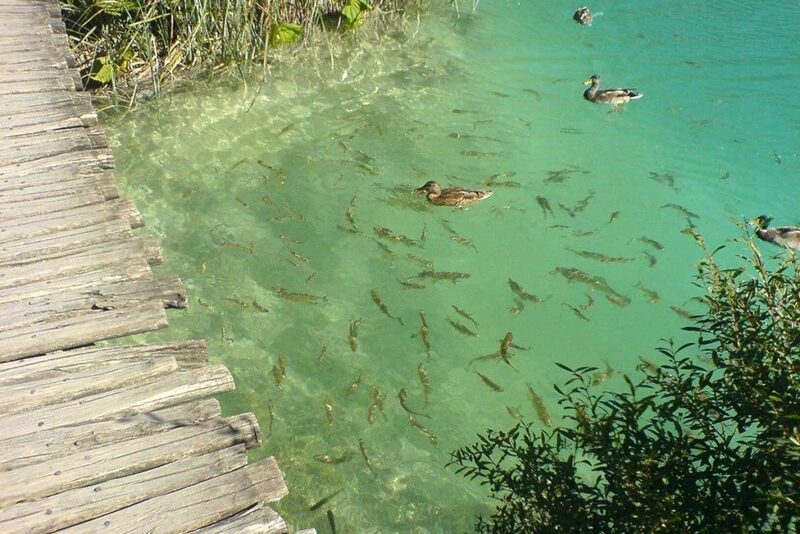 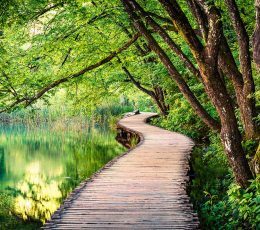 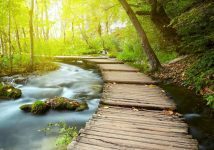 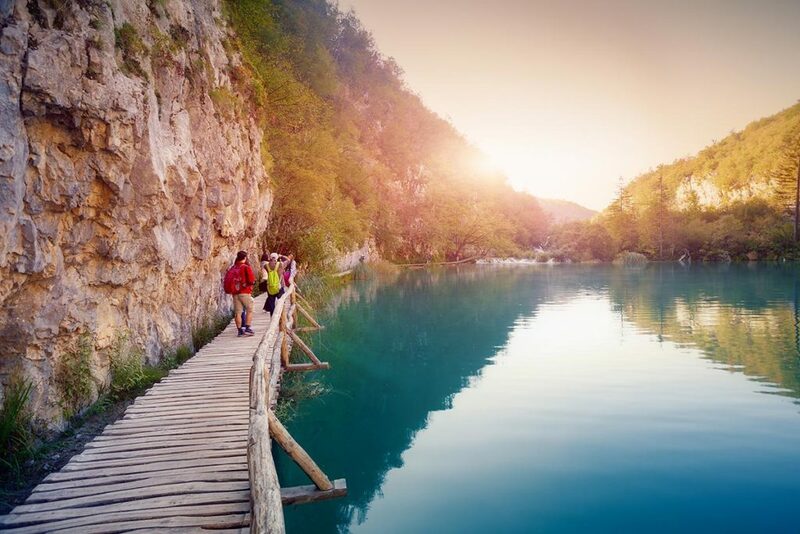 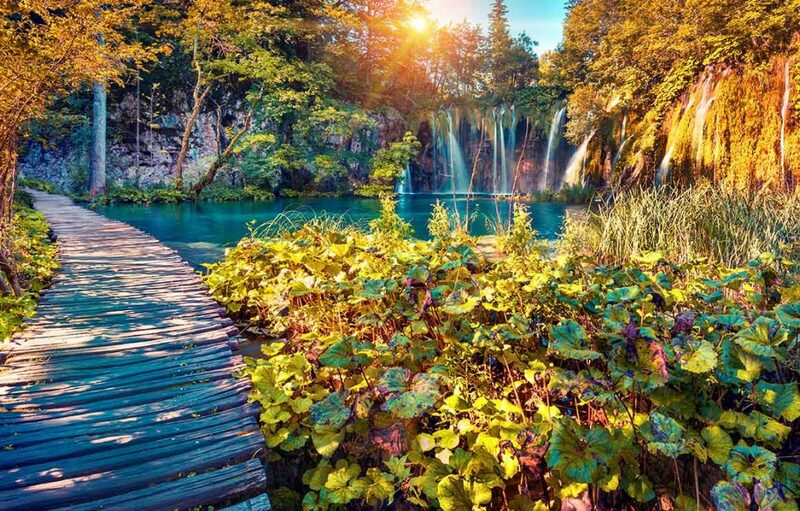 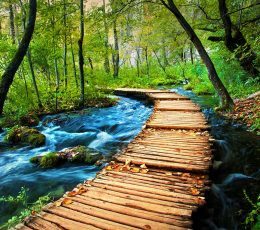 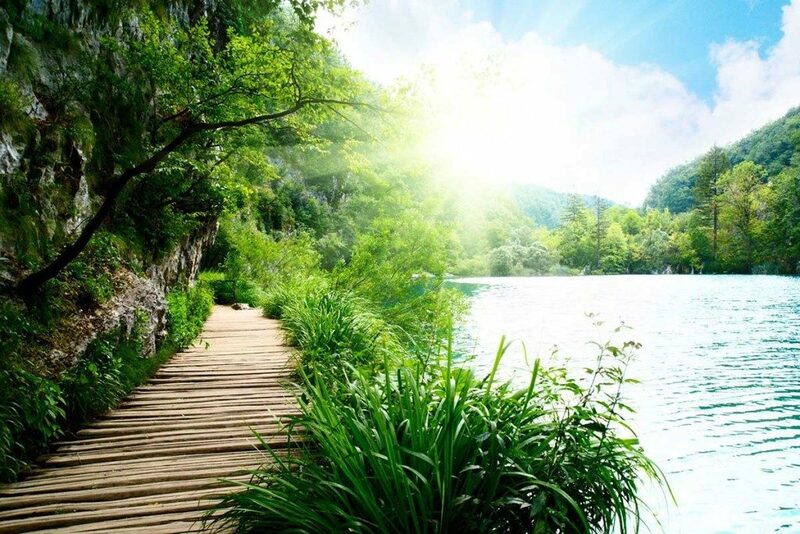 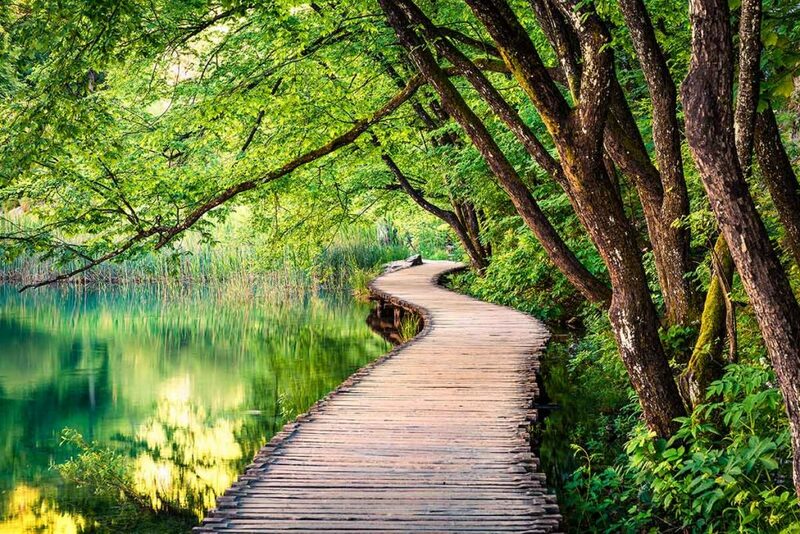 Take a walk accross the wooden paths which go around and accross twelve interconnecting lakes uf this upper part of Plitvice lakes. 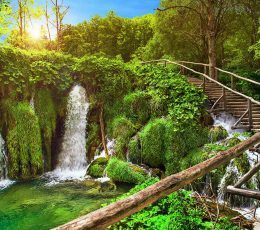 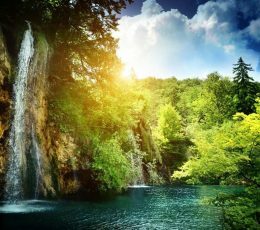 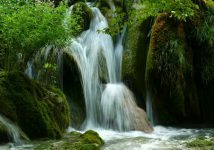 Feel completely relaxed and connected with nature in this magical surrounding of beautiful valleys, cascading waterfalls, fish and ducks swimming all around, small springs and of course- cascading waterfalls. 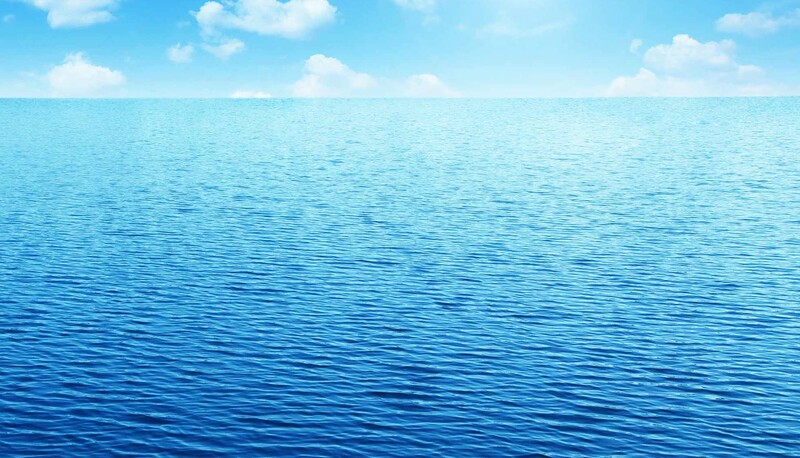 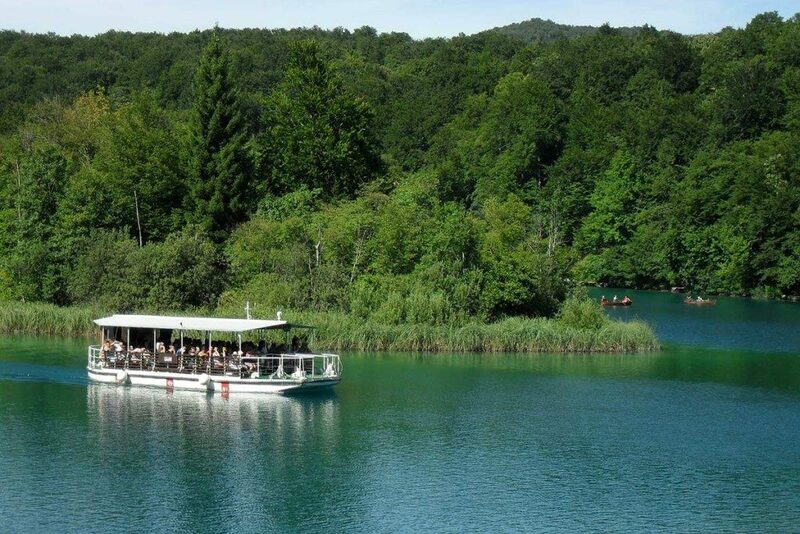 Continue your tour by taking panoramic boat ride from the upper lakes to the next part of the park- the lower lakes. 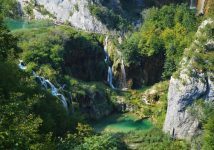 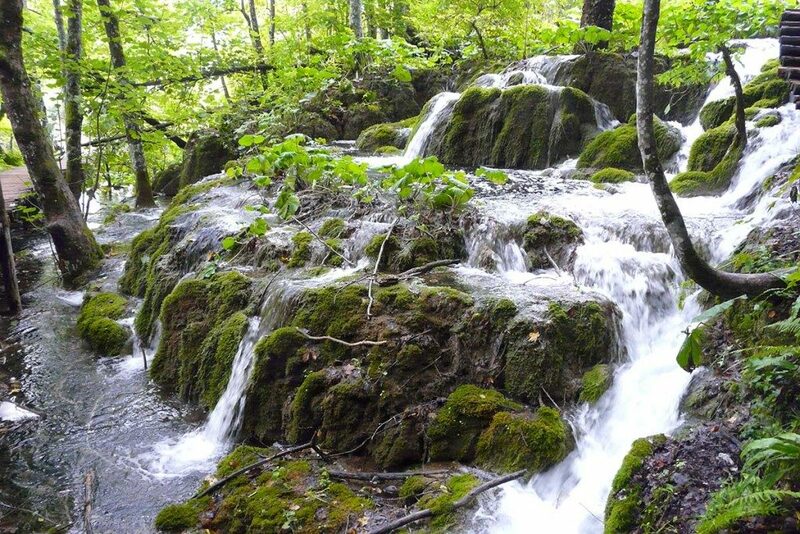 Even from the distance you will hear loud thundering noise of the largest Croatian waterfall which is situated in lower lakes. 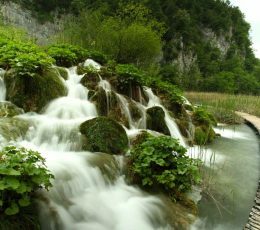 Rich flora and fauna together with numerous caves encircle incredible beauty of this area. 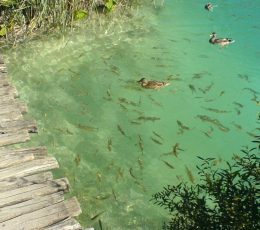 At the end of your exploring Plitvice National Park, we will make a stop for a lunch on the way back home in one of the traditional taverns of this region.